We've all heard stories of people who've experienced seemingly miraculous recoveries from illness, but can the same thing happen for our world? 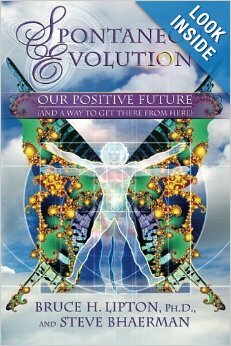 According to pioneering biologist Bruce H. Lipton, it's not only possible, it's already occurring. In Spontaneous Evolution, this world-renowned expert in the emerging science of epigenetics reveals how our changing understanding of biology will help us navigate this turbulent period in our planet's history and how each of us can participate in this global shift. In collaboration with political philosopher Steve Bhaerman, Dr. Lipton invites readers to reconsider: the "unquestionable" pillars of biology, including random evolution, survival of the fittest, and the role of DNA; the relationship between mind and matter; how our beliefs about nature and human nature shape our politics, culture, and individual lives; and how each of us can become planetary "stem cells" supporting the health and growth of our world. By questioning the old beliefs that got us to where we are today and keep us stuck in the status quo, we can trigger the spontaneous evolution of our species that will usher in a brighter future.